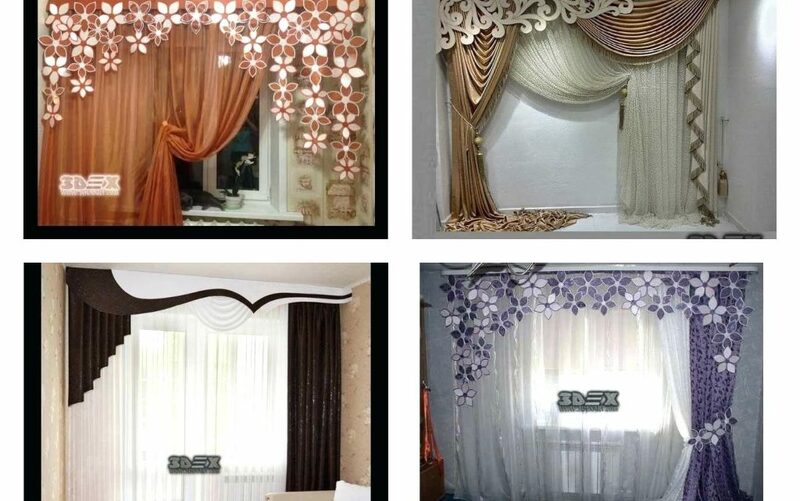 Every house needs unique curtains design that will help in creating lovely and comfortable ambient. 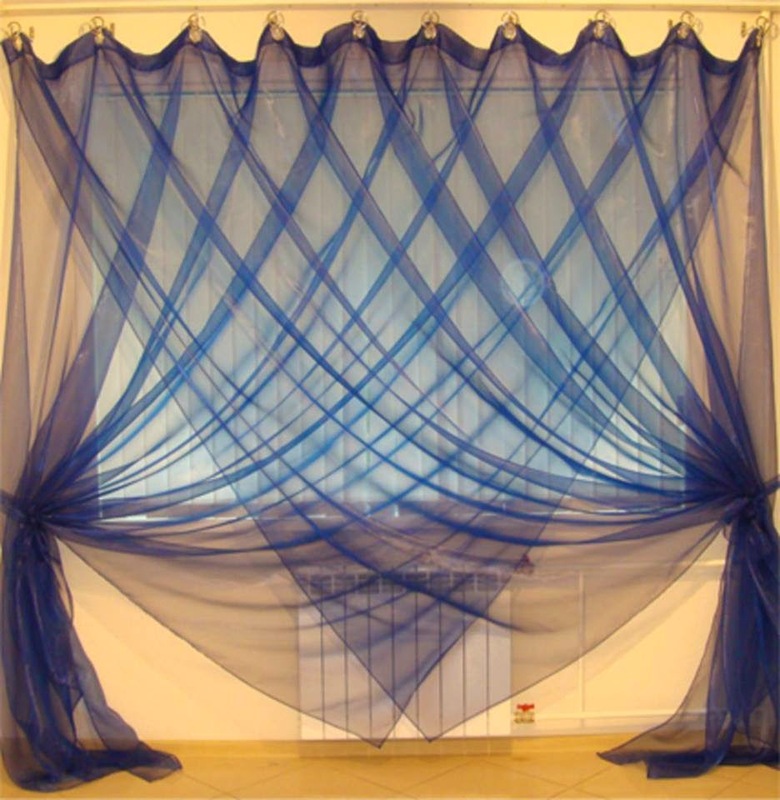 Even though there are people who think that nowadays adding curtains at home is old-fashioned, curtains are still used by many modern homes. 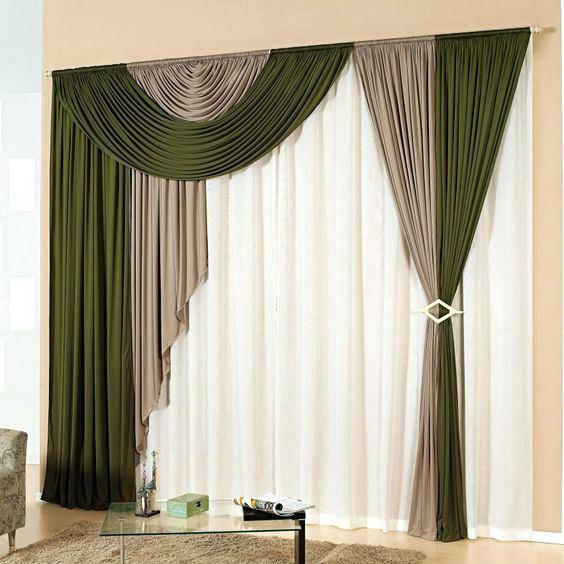 Check the following images and change your opinion, choose the best curtains style and design for your house place. 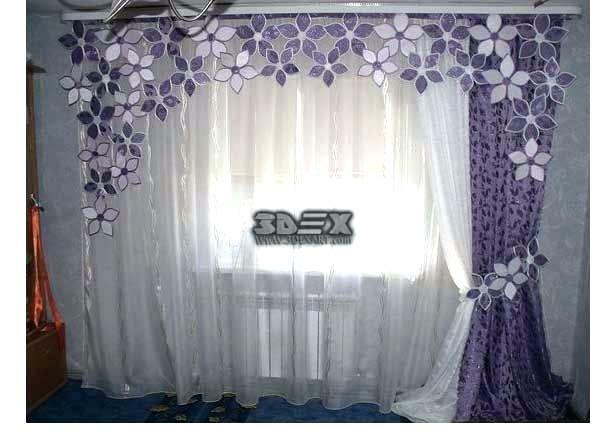 Cover the windows of your house with modern curtains that have the design like this. 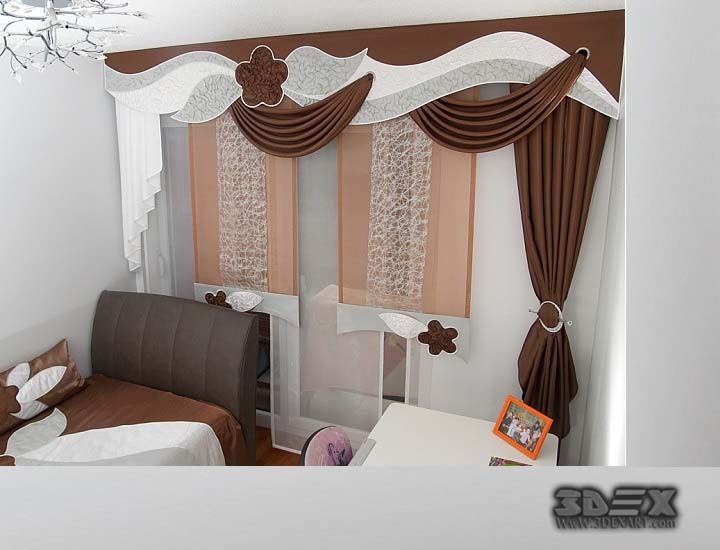 For those people who have the cream coloured interior, the cream curtains are a need. If you want you can copy this style for the living room, bedroom place but if you don’t you can at least share it with friends. Adding orange curtains in a home place gives the house a comfortable ambient where people will spend relaxing days. 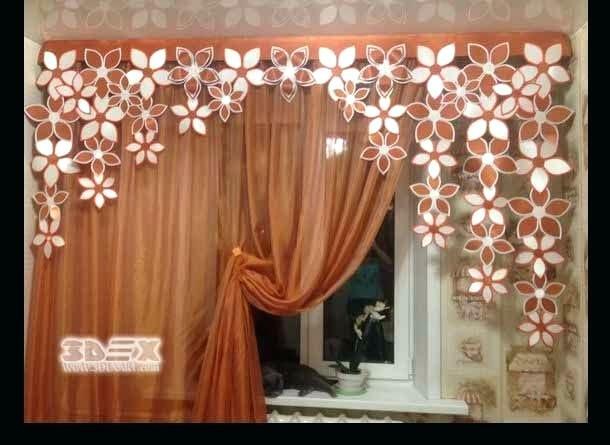 One amazing orange design is exactly the following curtains in this photo. Don’t miss to see the design that is spectacular! This design can be also done with black and white combination if you prefer the combination of two standard colours. Find inspiration in this design. Choose a modern design for covering the window, instead of adding Venetian blinds that won’t give you any design. 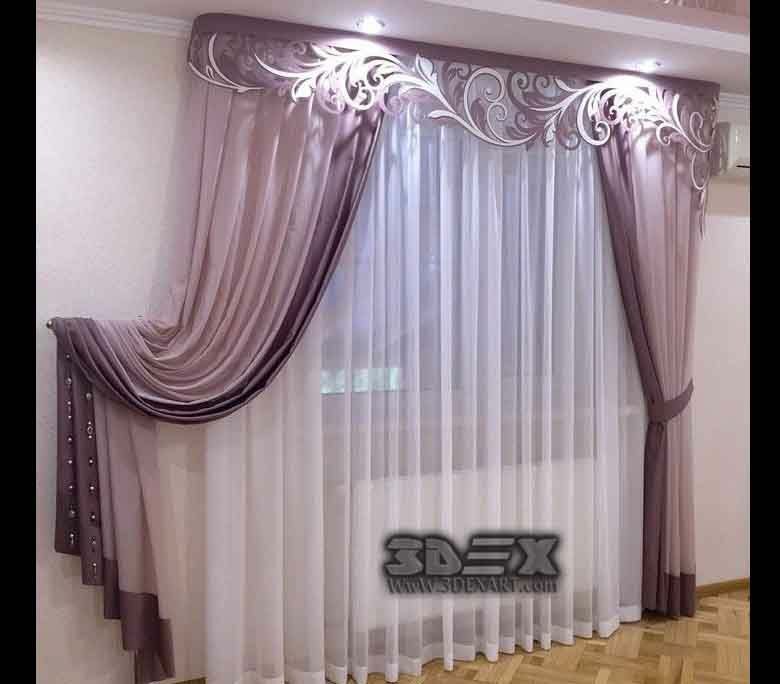 What lovely curtains design in 3D view, well my friends you can have this at home if you just wish to. People who have already chosen a green accent for an interior place should take a look at this design that will cover the windows. the green and white combination looks wonderful for any living room design. For romantic people, this is a great idea that will make the charming look of the house place. Be a romantic person, choose the best design for your windows and house place. The purple colour is not a bad choice for house design, for windows covering. But for me, this design is for little kids room or teenagers rooms. 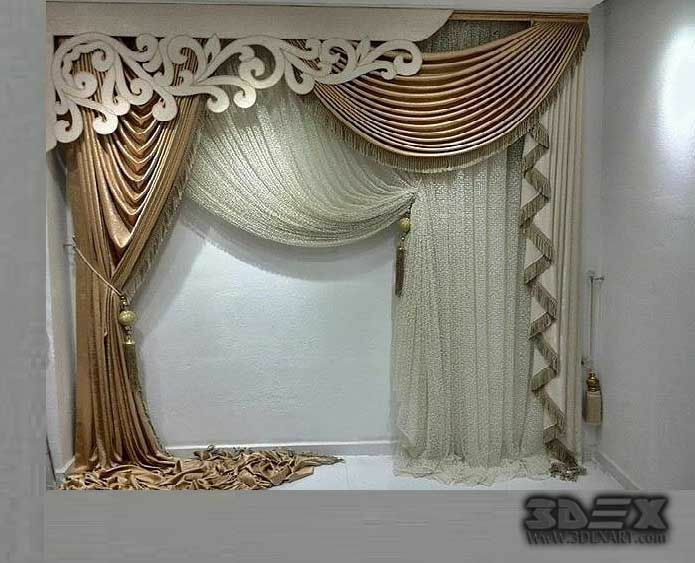 But this type of curtains can be never added to a living room place. 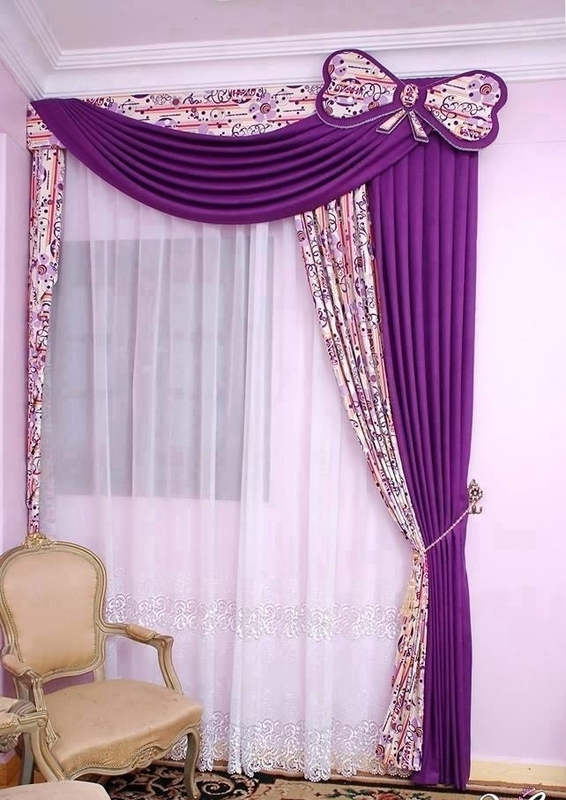 Light purple design of curtains will give the house ultra-modern look. To be honest, this is my favourite design of all possible designs shared on our website. what do you think, do you agree? This is all for this post and I sincerely hope that you’ve found some useful idea to copy for your house place. If you like it the ideas, keep following our website in future and find motivation!